 CTL is completely equipped to conduct physical, electrical, and thermal testing on most materials. We conduct tests in accordance with required specifications such as ASTM, NEMA, federal and military standards, plus customer- or company-developed specifications. We maintain all test equipment under strict calibration traceable to the National Institute of Standards and Technology. Plastics Testing – CTL is recognized as a leader in plastics and composite testing. We’re also widely known for our ability to fabricate reinforced laminates from resins or reinforcing media for development and evaluation. Printed Circuit Board Testing – This testing includes all mechanical, thermal, and environmental tests required by the U.S. Government, industrial, and private specifications. High and Low Temperature Testing – We can adapt calibrated temperature chambers to our testing equipment to provide thermal environments in the range of -320° F to 2800° F. We also maintain a full array of ovens and furnaces for temperature aging and thermal cycling tests. Custom Testing Programs – Our experienced personnel often consult with customers to establish special tests for meeting unique requirements.